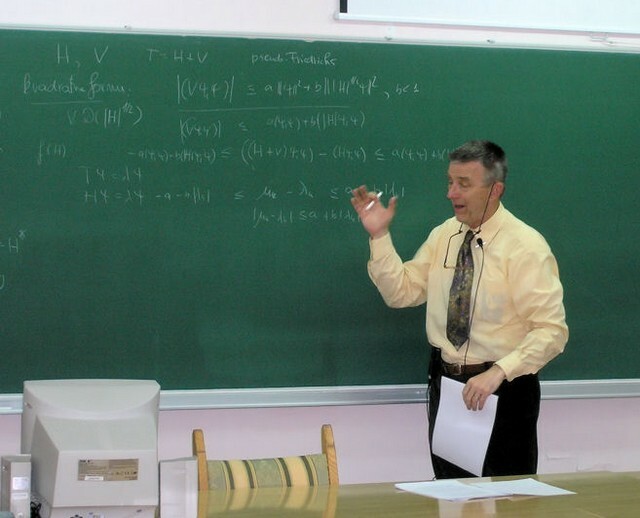 Professor Krešimir Veselić lecturing at the Mathematics Department of the University of Osijek, Croatia. 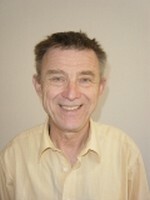 He is professor emeritus of the University of Hagen, Germany. Professor Zlatko Drmač of the University of Zagreb lecturing in Hagen, Germany. He defended his PhD in 1994 under supervision of professor Krešimir Veselić. Hrvatski matematičari prof.dr. Zlatko Drmač sa zagrebačkog PMF-a i prof.dr. Krešimir Veselić emeritus na Sveučilištu u Hagenu (Njemačka) zajednički su osvojili prestižnu nagradu Linear Algebra Prize 2009 koju svake tri godine dodjeljuje međunarodno Društvo za industrijsku i primijenjenu matematiku SIAM za najznačajniji doprinos u primijenjenoj linearnoj algebri u posljednje tri godine. Profesori Drmač i Veselić su nagradu dobili zbog otkrića brze i točne numeričke metode za nalaženje singularnih vrijednosti matrica (tzv. Jacobi SVD). Metoda nalazi primjene u mnogim područjima znanosti gdje je nužno brzo nalaženje vlastitih vrijednosti matrica, na pr. u fizici, tehnici, računalnim znanostima te u socijalnim znanostima. Istrazivački projekt financijski je podržala zaklada Volkswagenstiftung. Zbog značajnosti metode, ona je uvrštena u najnoviju verziju LAPACK, najznačajnije i najraširenije računalne biblioteke matematičkih rutina. Ovaj uspjeh je plod intenzivne dugogodišnje suradnje profesora Veselića s profesorom J. Demmelom, UC Berkeley, kao i s više hrvatskih matematičara koji su se specijalizirali na njegovom institutu u Hagenu i onda se vratili na Sveučilišta u Hrvatskoj gdje djeluju kao nastavnici i znanstvenici. Profesor Drmač je doktorirao pod vodstvom profesora Veselića u Hagenu u Njemačkoj. Profesor Veselić je studirao matematiku na Sveučilištu u Zagrebu, gdje je i započeo svoju nastavnu i znanstvenu karijeru. Profesori Drmač i Veselić su među suorganizatorima serije konferencija IWASEP koje su posebno posvećene proučavanju pouzdanosti u računu vlastitih i singularnih vrijednosti. Iskrene čestitke dobitnicima narade i mnogo novih uspjeha u daljnjem radu! Croatian mathematicians professor Zlatko Drmač from the Mathematics Department of PMF in Zagreb, Croatia, and professor Krešimir Veselić from the University of Hagen, German, won a prestigeous 2009 Linear Algebra Prize which is awarded every three years by the SIAM (Society for Industrial and Applied Mathematics) for best scientific work published in the course of preceding three years. Professors Drmač and Veselić were awarded for their discovery of fast and accurate mehtod for finding singular values of matrices (the so called Jacobi SVD). The method finds its applications in many areas of science where precise computation of eigenvalues of matrices is necessary, like in Physics, Technics, Computer Sciences and in Social Sciences. Their research was partly supported by the Volkswagenstiftung. Because of its importance the method has been included to the newest version of LAPACK, the largest and most important computer library of mathematical routines. This success came as a result of intensive collaboration of professor Veselić with professor J. Demmel, UC Berkeley as well as with several Croatian mathematicians who specialised at his institute in Hagen, and then returned to Croatian universities where they act as professors and researchers. Professor Drmač defended his PhD under supervision of professor Veselić in Hagen, Germany. 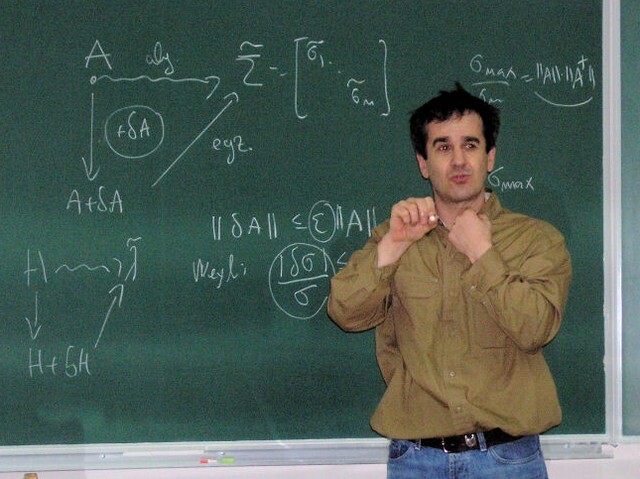 Professor Veselić studied mathematics at the University of Zagreb, where he started his teaching and scientific career. Professors Drmač and Veselić are among co-organisers of the well known workshop series IWASEP which is particularly consecrated to highly reliable computing of the eigenvalue and singular value problems. Our sincere congratulations to the recipients of the award and lots of success in future work! German media also reported about great success of Croatian mathematicians, see below. The above text is based on the article below, and an information provided by Croatian Information Centre. Der FernUni-Wissenschaftler und sein Promovent Dr. Zlatko Drmač, heute Professor in Zagreb, erhalten den Preis von der SIAM, der wohl weltweit bedeutendsten Organisation für angewandte Mathematik. Ihre prämierten Arbeiten befassen sich mit der numerischen Berechnung von Eigenwerten. Diese Berechnungen finden Anwendungen in den unterschiedlichsten Bereichen von Physik, Technik und Sozialwissenschaften. Krešimir Veselić, emeritierter Professor der FernUniversität in Hagen, hat den diesjährigen "Linear Algebra Prize" der SIAM (Society for Industrial and Aplied Mathematics) für Arbeiten erhalten, die an der Fakultät für Mathematik und Informatik der FernUniversität entstanden sind. Der Preis wurde Prof. Dr. Krešimir Veselić zusammen mit Prof. Dr. Zlatko Drmač von der Universität Zagreb verliehen. Prof. Drmač wurde im Lehrgebiet "Mathematische Physik" von Prof. Veselić promoviert und war hier wissenschaftlicher Mitarbeiter. Die SIAM ist die wohl weltweit bedeutendste Organisation für angewandte Mathematik. Der "Linear Algebra Prize" wird von der SIAM alle drei Jahre für den herausragendsten Artikel aus dem Gebiet der anwendungsorientierten Linearen Algebra verliehen. Die prämierten Arbeiten von Veselić und Drmač befassen sich mit der numerischen Berechnung von Eigenwerten. Diese Berechnungen finden Anwendungen in den unterschiedlichsten Bereichen von Physik, Technik und Sozialwissenschaften. Für die Berechnung der Strahlungsfrequenzen von Atomen, die Stabilitätsberechnung von Bauwerken und Regelkreisen, für Methoden der Bildverarbeitung und der Statistik und viele weitere Anwendungen ist eine exakte und schnelle Berechnung von Eigenwerten unerlässlich. Der Algorithmus, den Veselić und Drmač entwickelt und ständig verbessert haben, verbindet die Anforderung an Exaktheit der Berechnung mit einer extrem hohen Geschwindigkeit, die für die aufwändigen Probleme der Anwender unverzichtbar ist. In dem international führenden Softwarepaket LAPACK ist inzwischen die Eigenwertberechnung nach dem Verfahren von Drmač und Veselić implementiert, damit steht die neue Methode allen Anwendern weltweit zur Verfügung. Prof. Veselić befindet sich in dieser Woche auf einem internationalen Kongress der SIAM in Monterey in Kalifornien, wo ihm der "Linear Algebra Prize" überreicht wird. The SIAM Activity Group on Linear Algebra (SIAG/LA) Prize, established in 1987, is awarded to the author(s) of the most outstanding paper, as determined by the prize committee, on a topic in applicable linear algebra published in English in a peer-reviewed journal. The prize committee will consist of a panel of five members of the SIAG/LA. The Vice Chairperson of the SIAG/LA during the last year of the award period will serve as chairperson of the committee. The remaining four members will be appointed by the SIAM President upon the recommendations of the SIAG/LA Chairperson and the advice of the SIAM Council. The appointments will be made at least twelve months in advance of the prize award date. The term of office will be from the date of appointment until the date of the prize award. The committee will solicit nominations for the prize from the general membership of the SIAG/LA, using SIAM office resources as needed, and from other members of the scientific community. If a committee member is nominated for the award, the SIAM President will appoint a replacement upon notification by the committee chairperson. Candidate papers must be published in English in a peer-reviewed journal bearing a publication date within the award period. They must contain significant research contributions to the field of linear algebra, as commonly defined in the mathematical literature, with direct or potential applications. The prize committee will notify the SIAM President of its selection at least five months prior to the award date. The prize committee must select one paper that determines the prize winner(s). The notification must be accompanied by a written justification and a citation not exceeding 25 words that can be used for a certificate and read at award time. The SIAM President will accept or reject the nomination at least four months prior to the award date; the advice of the SIAM Council, its Executive Committee, and the SIAG/LA Chairperson may be solicited. If the nomination is accepted, the award presentation will be made according to the procedure below. If the nomination is not accepted, the President and the Chairperson of the Prize Committee will select an acceptable paper at least three months prior to the award date. The Chairperson of the Prize Committee will notify the recipient(s) of the award at least three months in advance of the award date. An invitation will also be extended to the recipient(s) to attend the award ceremony to receive the award and to present the paper. The award will consist of a plaque and a certificate containing the citation. If the selected paper has multiple authors, each author will receive a plaque and certificate. There will be no cash award associated with the prize. The prize is awarded every third year (starting in 1988) at the triennial SIAM Conference on Applied Linear Algebra, the only all SIAG/LA meeting. The award period is the three calendar years preceding the meeting. At least one of the awardees is expected to attend the award ceremony and to present the paper at the meeting. Travel expenses are not normally available to reimburse the recipient(s) for expenses incurred in attending the award ceremony. The Chairperson of the SIAG/LA will announce the award at the chosen meeting and present the award to the recipient(s) who is present. The recipient(s) is not required to be present to receive the award. An announcement of the award recipient(s) will appear in SIAM News and the SIAG/LA Newsletter. We take the opportunity to write a little bit more about surprisingly versatile but little known activities of professor Krešimir Veselić. 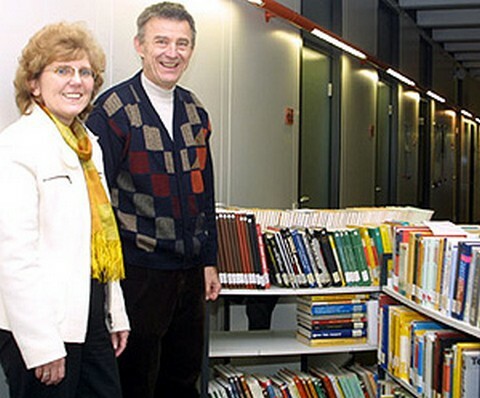 Professor Krešimir Veselić on the right, in the library of the University of Hagen, initiated the transportation of hundreds of second hand books to Croatia in 2006, to help the Universities of Osijek and Rijeka. On the left Karin Michalke, director of the library. In der Universitätsbibliothek werden sie nicht mehr gebraucht, aber ins Altpapier kommen deshalb sie noch lange nicht: Ältere Bücher aus den Beständen der Mathematik und der Informatik treten dieser Tage eine Reise nach Kroatien an. Sie werden dort die Ausstattung der Universitätsbibliotheken in Ossijek und in Rijeka vervollständigen. Die Mitarbeiterinnen und Mitarbeiter der Hagener Universitätsbibliothek haben hunderte Bücher aus den Beständen aussortiert, von denen inzwischen beispielsweise neuere Auflagen angeschafft wurden oder die nicht mehr nachgefragt werden. Etwa, weil das Studienangebot der FernUniversität sich verändert hat und zudem die Literaturlisten einiger Kurse andere Schwerpunkte setzen. Für die Altpapiertonne sind diese Bücher allerdings viel zu schade. Stattdessen nahm der emeritierte Mathematiker Prof. Dr. Krešimir Veselić sie Stück für Stück in Augenschein: Veselić organisiert eine Bücherspende in großem Stil. Der ehemalige Leiter des Lehrgebiets Mathematische Physik an der FernUniversität unterhält enge Beziehungen zu den Universitäten seines Geburtslands Kroatien. Nicht zuletzt haben einige kroatische Doktoranden seines Lehrgebiets heute dort Professuren inne. Die Universitäten Kroatiens befinden sich immer noch in der Aufbauphase; Veselić engagiert sich hier in vielfältiger Weise. In schwierigen Zeiten holte er junge kroatische Mathematiker nach Hagen, heute trägt er unter anderem mit den Hagener Büchern zum Aufbau bei. In Rijeka beispielsweise wird das Institut für Mathematik zur Fakultät ausgebaut. Dort soll natürlich auch die zugehörige mathematische Bibliothek entstehen, zu der die Spende aus Hagen ihren Teil beiträgt. In Ossijek wächst zudem das Fach Informatik deutlich. Mathematiker Veselić ließ sich deshalb beraten, nach welchen Kriterien er informatische Fachliteratur auswählen sollte: Diese Fachbücher veralten enorm schnell; fündig geworden ist Veselić trotzdem. Zusammengekommen sind trotz seiner strengen Auswahl gut und gern 25 Regalmeter Bücher, die jetzt mit dem Zug nach Kroatien verschickt werden. Bibliotheksleiterin Karin Michalke freut sich, „auf diese Weise wertvolle Aufbauhilfe zu leisten“ und sicherte gern die Unterstützung der Hagener Bibliothek zu. So müssen beispielsweise alle dort aussortierten Bücher entsprechend gekennzeichnet und in einem Begleitschreiben als Spende deklariert werden - ein wichtiges Detail, damit für die Aufbauhilfe nicht auch noch Zollgebühren fällig werden. Doctoral dissertations defended under the supervision of professor Krešimir Veselić. Note that among them there is a number of Croatian students. He is not only a mathematician, but also an active musician. Choir of the Matrix Croatica for the region of Ruhr (Zbor Matice hrvatske za Ruhrsko područje) in Germany conducted by professor Krešimir Veselić, fifth from the right. Professor is not only conducting, he also plays violin. Niže možete poslušati njihove izvedbe dvaju starih hrvatskih napjeva. Pred kom noćna tma otide. Naše duše rajem blaži. Amen. Napjev je glazbeno obradio prof. Ivan Golčić. Tekst je iz 14. stoljeća, zapisan u najstarijoj poznatoj hrvatskoj pjesmarici, tzv. Pariškom zborniku iz godine 1380. Ta knjiga pisana hrvatskom glagoljicom čuva se u Nacionalnoj knjižnici (Bibliothéque Nationale) u Parizu. O Isuse, budi hvaljen posve vike vikom. Amen. 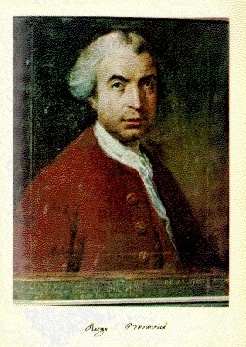 Zahvaljujem prof.dr. Krešimiru Veseliću na tekstovima i tonskim zapisima pjesama kao i prof. Ivanu Golčiću za dozvolu korištenja njegove obrade. 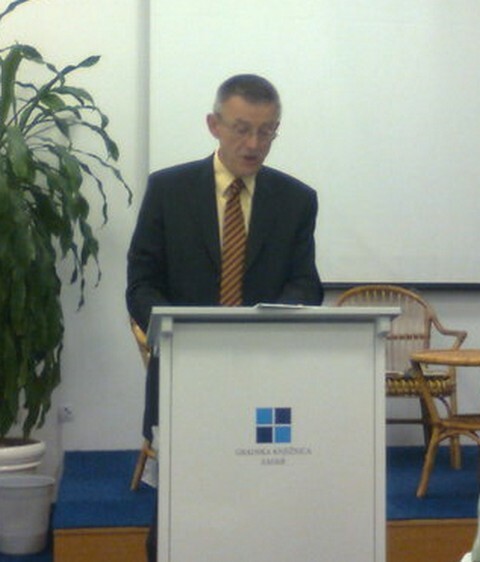 Professor Krešimir Veselić lecturing at the City Library in Zadar, Croatia: On the Life and Work of blessed Edith Stein. Dr. Krešimir Veselić, profesor emeritus matematičke fizike na Fernuniversitaet Hagen i dopisni član HAZU, u četvrtak je održao predavanje o Edith Stein u Multimedijalnoj dvorani Gradske knjižnice Zadar. Dr. Veselić predstavio je život i rad ove Židovke i katolkinje, filozofa, angažirane intelektualke, redovnice karmelićanke, žrtve nacističkog terora i svetice Katoličke Crkve. 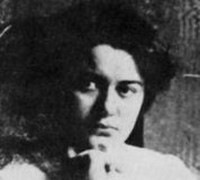 Blažena Edith Stein u svijetu, a u redu sestra Terezija Benedikta od Križa, rođena je u židovskoj obitelji 12. listopada 1891. u Breslauu. Odgojena je prema strogoj tradiciji židovske religije, no već u trinaestoj godini izgubila je vjeru. 1911. počela je slušati predavanja iz germanistike i filozofije na sveučilištu rodnog mjesta, a posebno ju je zanimala filozofija: 1913. prešla je na sveučilište u Göttingen da sluša Husserla, začetnika fenomenologije. U kolovozu 1916. Edith polaže doktorski ispit iz filozofije, i iste godine postaje Husserlova asistentica na sveučilištu u Freiburgu. U međuvremenu rat uzima stotine tisuća žrtava. Među žrtvama bio je i njen prijatelj Adolf Reinach koji ju je i upoznao s Husserlom. Očarana autobiografijom sv. Terezije Avilske, proučava Katolički katekizam i Rimski misal. 1922. primila je sveto krštenje i uzela ime Tereza - Hedviga. Nakon obraćenja Edith Stein imala je samo jednu želju: po uzoru sv. Terezije posvetiti se potpuno Bogu u karmelu. Osam godina živjela je u samostanu dominikanki skromno i tiho kao redovnica. Primila se docenture na Njemačkom institutu za znanstvenu pedagogiju u Münsteru. U siječnju 1933. Hitler je postao kancelar Reicha, te počinju progoni Židova. Novo zakonodavstvo isključivalo je sve nearijevce iz javnih službi. Zato je Edith morala napustiti docenturu. Stupanje u karmel bilo je za Edith silazak sa slavne životne karijere u dubine neznatnosti. Njezina 'Znanost križa' nije samo teoretska studija o sv. Ivanu od Križa, nego i povijest njezine duše koja u misteriju Križa vidi duboki i tajanstveni smisao. Njezina autobiografija nije dovršena, i nije se znalo što se dogodilo s njom. Tek kasnije ustanovljeno je da je, zajedno sa sestrom Rozom preminula u Auschwitzu 9. kolovoza 1942. Sveti Otac Ivan Pavao II. proglasio ju je blaženom u Kölnu, 1. svibnja 1987. godine. Dr. Veselić u svoje predavanje uključio je brojne izvore, zapise i pisma, dojmove onih koji su s njom živjeli i radili, kao i njezina pisma i dijelove značajnih tekstova. Znamenita karmelićanka Edit Stein svojim je životnim putom - od ortodoksnog židovstva, preko ateizma do redovničkog života do mučeničke smrti u nacističkom logoru - posvjedočila neizmjernu ljubav prema Bogu. 'Ona je svjetionik i upitnik, koji nas potiče na preispitivanje vlastitog stava prema vječnim stvarnostima', zaključio je dr. Veselić. Those of you who know German are invited to read a very interesting article about a famous Croatian scientist Ruđer Bošković. Professor Krešimir Veselić is a member correspondent of the Croatian Academy of Sciences and Arts (HAZU) since 1997.